Each year, I like to channel my early twenties and take a road trip to a major California festival. And — more than Coachella or any other West Coast gathering — I often opt for FYF Fest in Los Angeles. I've been visiting the annual downtown L.A. event since 2010, when it used to be held at dusty park near Chinatown. In recent year's, however, the party moved a few blocks to overtake venues at Exposition Park, which is just south of the USC campus — another great setting for a weekend of killer indie, hip-hop, rock, and electronic acts. Life must be wild since the 24-year-old local rapper put out her Good Night in the Ghetto mixtape earlier this year. Most notably, she's locked in a major tour with YG, including a stop at the Fox Theatre the day after Thanksgiving, and this on the heels of her dropping the verse on one of the summer's biggest hits, "Why You Always Hatin?" Plus, her single "How Does It Feel" has taken off in the past twelve months, what with it's B.I.G.-esque rags-to-riches "Juicy" narrative and super catchy, Eightites R&B-inspired chorus. I'm interested to see her work a festival crowd; she'll be playing early on Saturday. Some 75-plus acts will grace FYF's stages on Friday and Saturday, but here are ten you absolutely shouldn't miss: Rae Sremmurd, Vince Staples (saw him at Regency earlier this year, excited to see if his set has evolved), Beach House, LCD Soundsystem (who headlined Outside Lands as part of the band's comeback-shows spree), Chelsea, Wolf, Tame Impala (who headline the Greek Theatre September 2-3), Grimes, Junior Boys, and Air (who I haven't seen in like fifteen years). 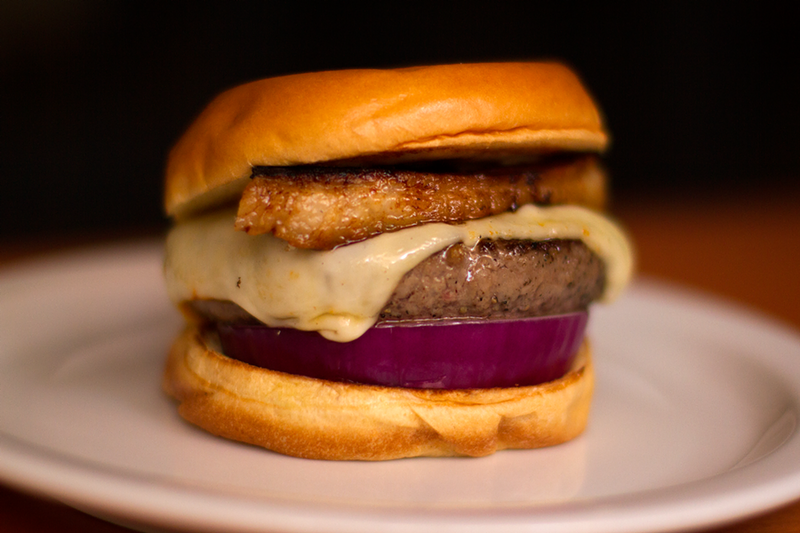 An Easy's burger, from the minds behind Eggslut. Look for the pop-up at FYF. FYF is upping its culinary game again this year, with some must-eat options. The longest line will likely be at the pop-up burger spot Easy's, from one of the founders of Eggslut. For my money, a warm bowl of vegan ramen at Ramen Hood will keep you fueled for a ten-hour festival day. But I'm also intrigued by Mainland Poke and Sunny Blue — the latter slanging stuff rice balls, also excellent festival energy fixes. Atlanta rapper is a Sunday undercard, but my money is on this being one of the hottest sets of the weekend. Thug will also play Sunday during the October Treasure Island fest here in the Bay. It's remarkable how, despite putting out the most-discussed hip-hop album in recent memory, Kendrick Lamar isn't over-exposed. Perhaps this is because he's chilled out doing features, or because To Pimp A Butterfly lacked a radio-friendly single. He's not ubiquitous like Drake and, frankly, the only annoying thing he's done is sport a LA Rams bucket hat at the new SoCal darling teams' training camp. And, instead, he's more into dropping moment-defining anthems and dominant festival appearances (such has his ever-discussed Outside Lands appearance from 2015). So, that's why me and pretty much everyone else attending the festival will be sweating his headline appearance on Saturday. Not much else to say except that I'll be posting up early for a good view, and I'll report back next weekend here at EastBayExpress.com.